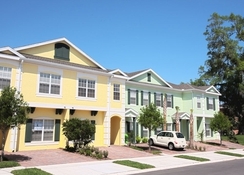 Overlooking a picturesque lake that sits amid lush tropical landscapes, Coral Cay Resort boasts unique town homes right in the heart of Central Florida’s Kissimmee. 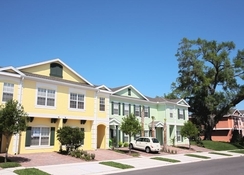 The property is located close to the theme parks, with Walt Disney World just 10 minutes away and SeaWorld and Universal Studios about 20 minutes’ away. 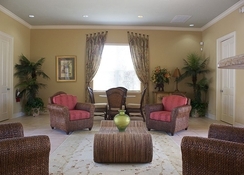 The luxury town homes are tastefully decorated and furnished with all modern amenities. The resort offers guests a number of opportunities for recreation and relaxation: take a dip in the lake view outdoor pool that features a small hot tub and wading pool, take a leisurely stroll along the jogging path, or explore the two playgrounds with lots of activities for children and a volleyball court. Offering a wide range of activities to choose from, Coral Cay Resort gives guests the chance to enjoy a great holiday while being close to all major attractions that Florida has to offer. 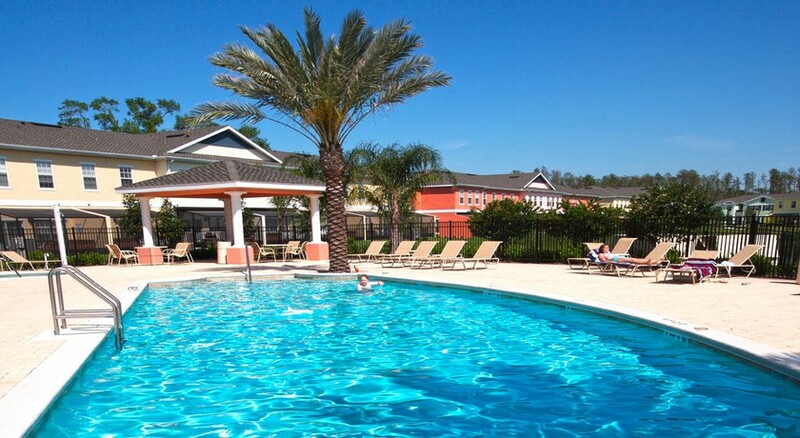 This casual townhouse resort is located off US Highway 192 and is 11.2 km from Walt Disney World and overlooks a beautiful lake panorama. The property is 6.8 km from Old Town amusement park, 11.2 km from Orlando Premium Outlets on International Drive and just 20.5 km from Universal Orlando Resort. The Orlando International Airport is located 32 km from the resort, while the Epcot theme park and Disney's Hollywood Studios are around 15 km away. 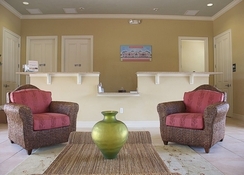 Guests can make themselves at home at one of the 81 well-appointed units of the Coral Cay Resort. The property accommodates Florida-style townhouses with 3 or 4 bedrooms, all with multiple TVs throughout, kids’ room and a lovely lounge with plenty of seating. Also, these luxurious town homes are incredibly spacious and come with a spa tub on a personal screened patio from where guests can enjoy beautiful views of the lake or Florida landscape. Each of the units features fully equipped kitchens, washer/dryers, LCD TV, cable programming, DVD players, wireless Internet access, hair dryer, mini bar, iron and ironing board as well as tea and coffee making facilities. For laid-back dining right on site, Coral Cay’s on-site coffee shop fits the bill for any meal, whether it’s a light lunch, a good coffee or a five-star degustation. 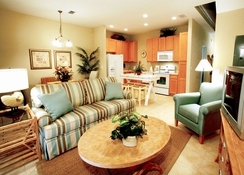 Guests can also choose to make us of the kitchens in the town homes and prepare delicious meals. The local dining options too are worth exploring, and Kissimmee offers a slew of good restaurants, cafes and eateries. To keep the guests entertained at the property, the resort presents its guests with a lovely lake view swimming pool with a small hot tub and wading pool, a children's pool, and free Wi-Fi in public areas. The welcoming clubhouse serves as the hub for guests to mingle and have fun while it features a cinema showing the latest movies. There’s even a jogging path around the complex to cater to the active ones, a volleyball court and a couple of playgrounds with lots of colourful equipment, great for the young guests.